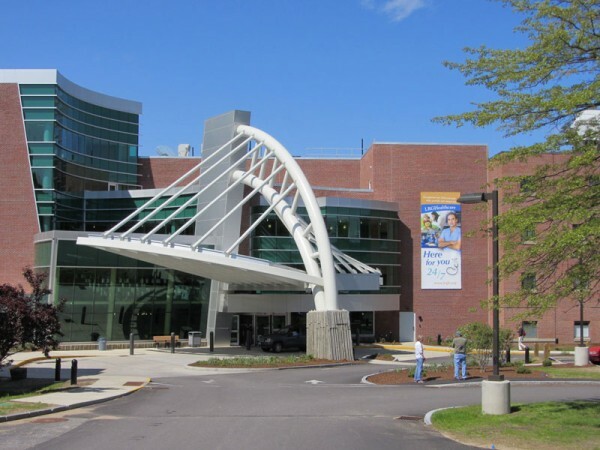 Weirs Beach is only a 10 minute drive to the major regional hospital in Laconia. 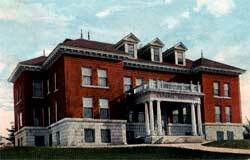 Until 1898 there was no hospital within the City of Laconia. In 1892, Laconia citizen Rhoda C. Ladd, in her will, pledged her entire estate, including her Court Street home, to the City for the purposes of building a hospital, but there still wasn’t enough funding to proceed. When a railroad wreck occurred in the City on September 1, 1897, there was nowhere to bring the victims, other than a local hotel with “poorly lighted and ventilated rooms…” An editorial published in the local paper shortly after the wreck noted the “barbarous” conditions and concluded “the great necessity for a cottage hospital was never more manifest than at the present time…” With public opinion galvanized, funds were soon raised and the Laconia Cottage Hospital opened less than a year later, on July 18, 1898 on Court Street. However, the Cottage Hospital had only eight beds and it soon became evident that a larger facility was needed. In 1905, Laconia citizen Jeremiah S. Jewett sold his farm atop Jewett Hill to the City for a friendly price, and donated half of the purchase price towards construction of a new hospital. The new hospital, shown in the old postcard above, was built soon after. Today’s hospital is in the same location.